Here we are with another beauty post! Can you tell we love makeup and skincare? And though we enjoy doing our makeup every day, it can be rough on our skin. So when we can, we opt for natural products that will nourish and moisturize our skin as opposed to some harsh ingredients that dry it out. 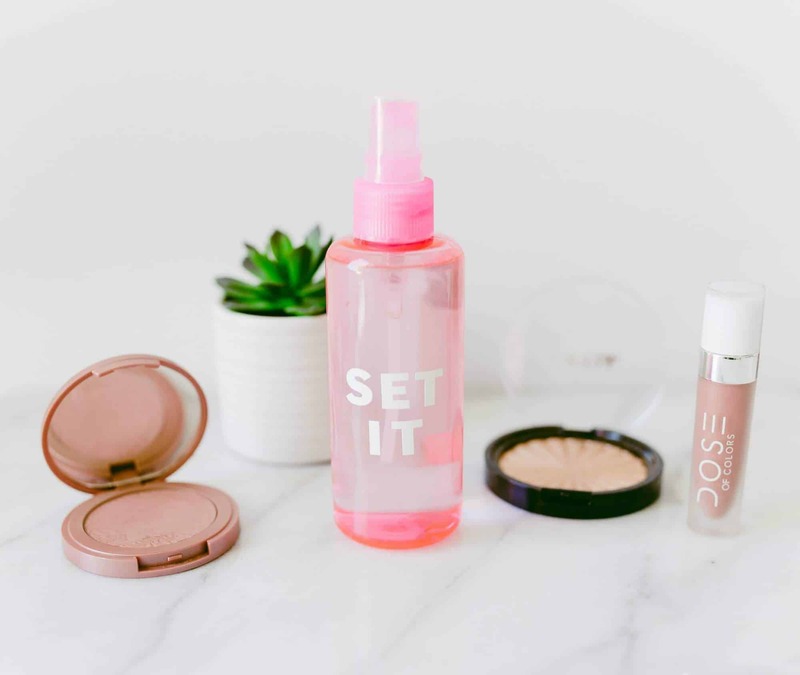 Makeup setting spray is necessary when you want your makeup to blend together flawlessly and last all day long. It tends to be costly, and since we use setting spray every day, we go through bottle after bottle. To save some money and our skin, we decided to make our own! 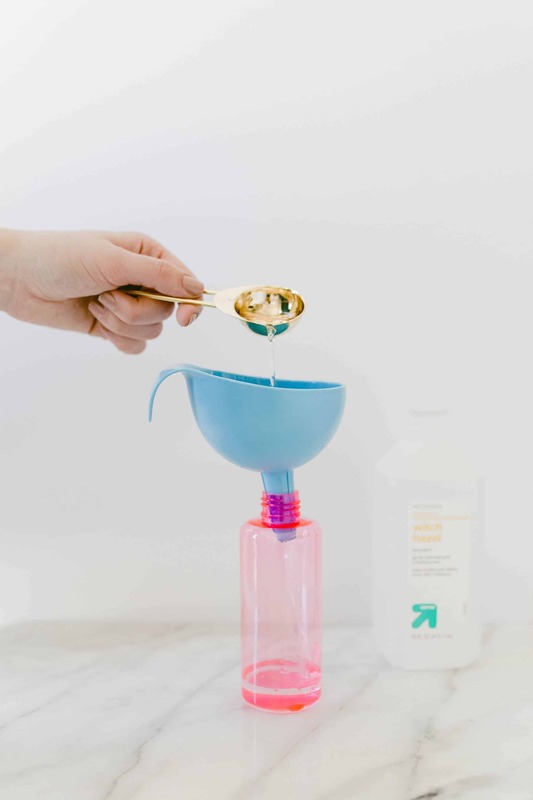 Since we’re into DIY skincare, we had all of the ingredients at home, which is a huge money saver! 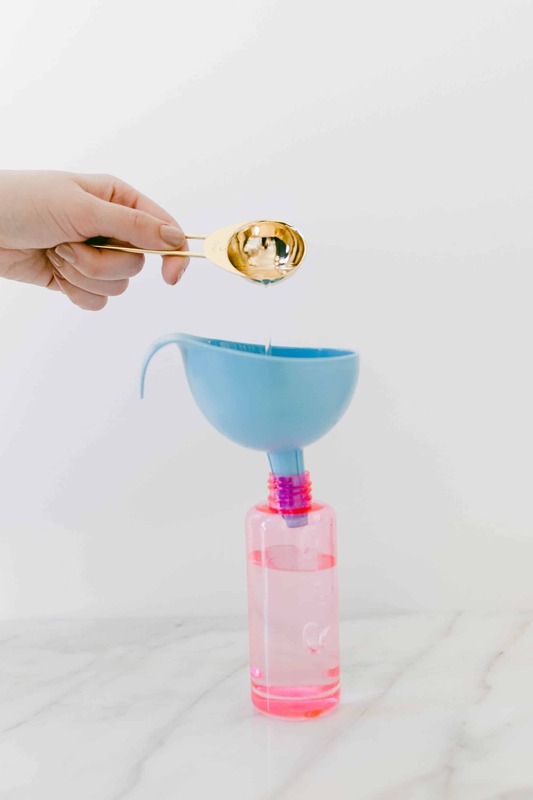 Step One: First, add two tablespoons of glycerin to your spray bottle using a funnel. 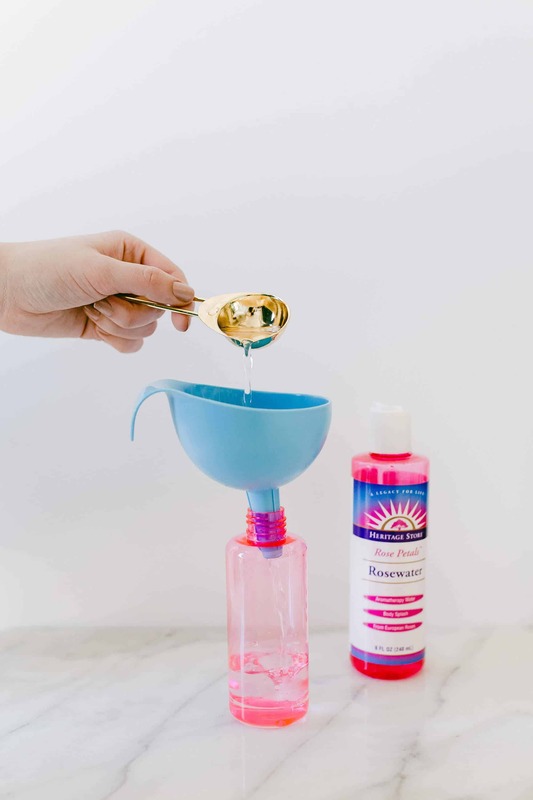 Step Two: Next you’re going to add 8 tablespoons of rose water to your bottle. Step Three: Add two tablespoons of witch hazel to your mixture. Step Four: Next up, add 4 tablespoons of water to your bottle. 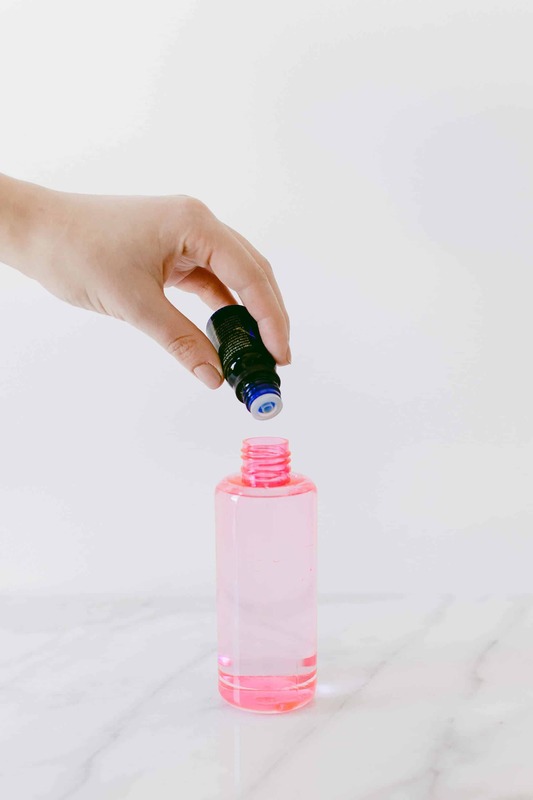 Step Five: Last but not least, add 4 drops of essential oil to your bottle. 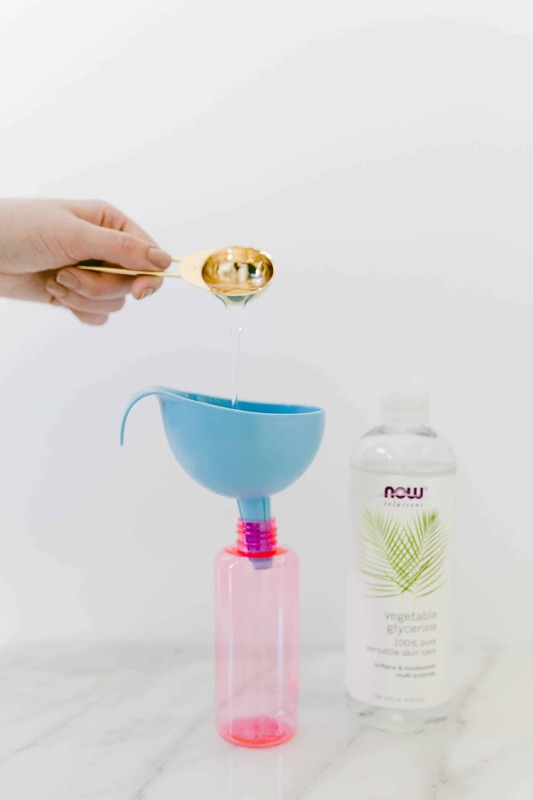 We used citrus oil so the spray wakes up your face, but you can use lavender or any other oil you’d like! Step Six: Now shake it up! Mix it all together so everything is cohesive. Step Seven: This step is optional, but we added some vinyl letters to our spray to jazz it up a bit! Can you tell me where your off the shoulder shirt is from? Love it! This is one I’ll have to try. 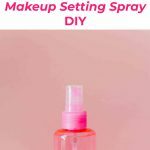 I’ve been looking for a good setting spray. 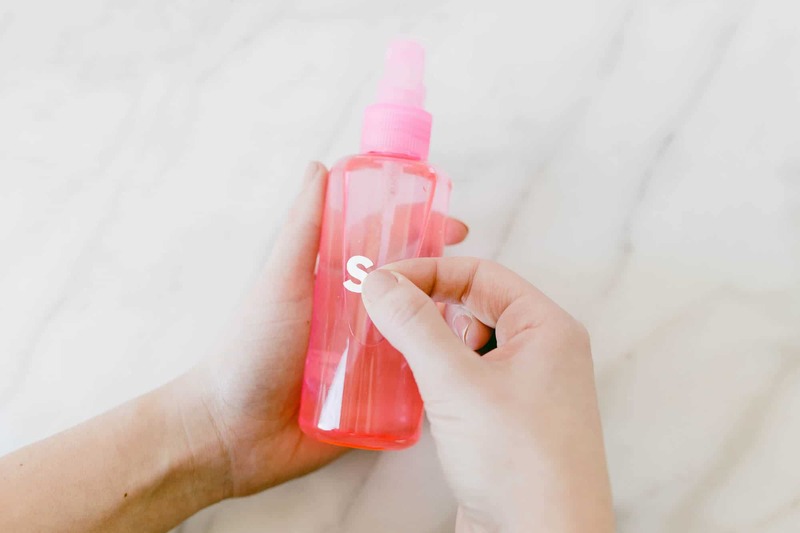 I use setting spray every day I should definitely try and make my own. Great idea! I’ll definitely have to give this a whirl! I’ve always used setting sprays but I hate paying for them! Love the ingredients in this so it’s totally up my alley. Would love to see an updated version with spf! Love this! Do y’all know what each ingredient does to help with setting your makeup? Which are most important, which are for moisturizing, etc… Thanks! 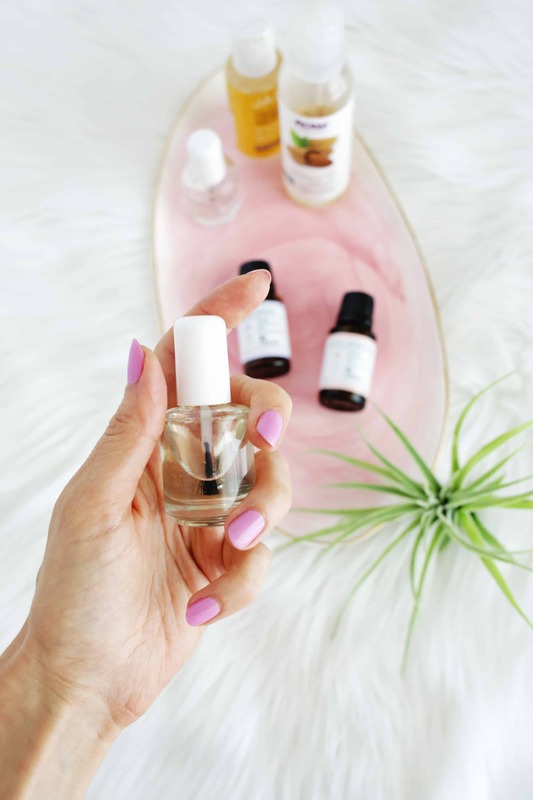 You and your readers should be wary – many citrus oils are photosensitive! This could cause some issues if you are spraying on your face, especially as we are moving into more sunny weather seasons! I am sure there are other resources, but just a tidbit from doTerra. Thanks Carly! I too was concerned that there were no mention of that (nor about using EOs in plastic bottles)! Please do your research on essential oils everyone! I was worried about this same thing!! I wouldn’t recommend using citrus oils on your face!! Thank you for this wonderful post. I have always taken care of my skin but as I age (I’m 40) I have been changing a lot of my make up brands and skin care to adapt to my new, more mature, skin. I am from Mexico so the brown skin helps a little with wrinkles but not much with hormone changes. I have been using lots of natural products lately and specially the ones I can make myself, so your posts are wonderful, thank you. 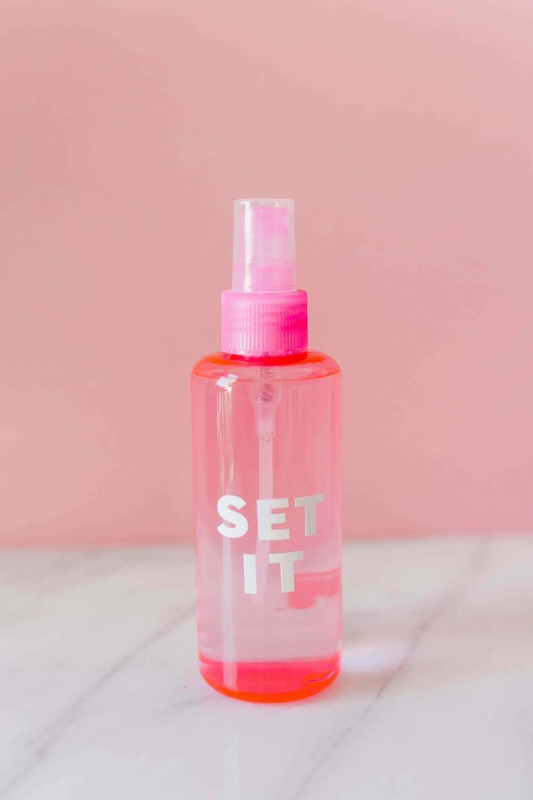 But for this one, I have one question: How long will this spray last in the bottle without having to worry if its gone bad and if it will hurt my skin? Thank you! I am a daily reader of ABM! I love your work! Without a preservative, it won’t last long. 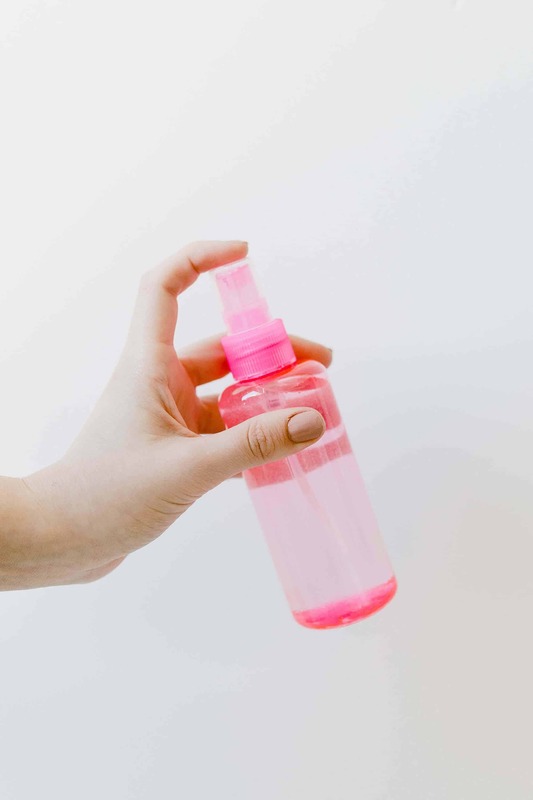 Any DIY cosmetics that include water need a preservative to keep from going bad. My guess is that this would last a couple weeks, if stored in the fridge. Also, FYI, most of the time citrus oils are a big NO NO if you are going out in the sun. They are phototoxic and cause an intense sunburn. It is best to research your particular citrus EO to see whether or not it is going to react in the sun. I noticed that you can click on the category below the title. It will give you just the picture and link to the posts. I hope that makes sense and makes things easier for you. This is awesome! I can’t wait to try it– the kind I get now I love, but the bottles are so expensive and so tiny! This would be amazing for the sweaty summer days coming up! Witch hazel is amazing. 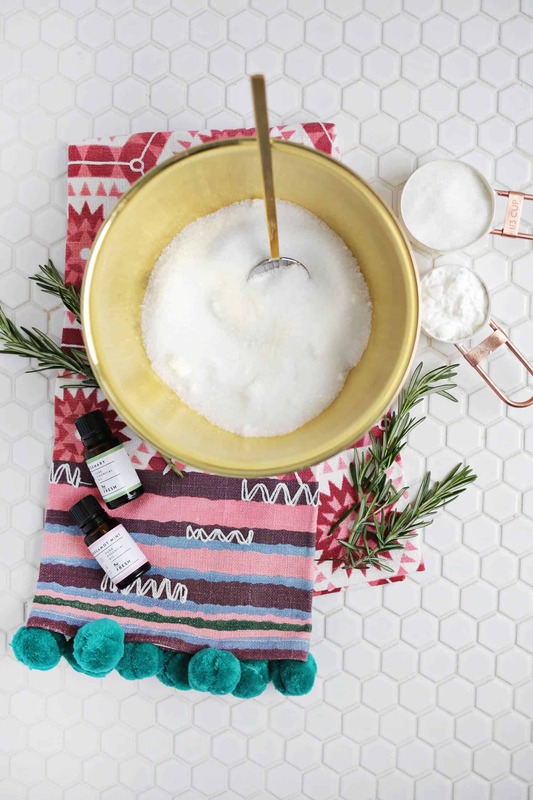 This would make a wonderful, creative gift for a beauty-obsessed friend! I never considered making a setting spray. Such a great idea! I’m going to have to try it out. Thanks for the recipe! 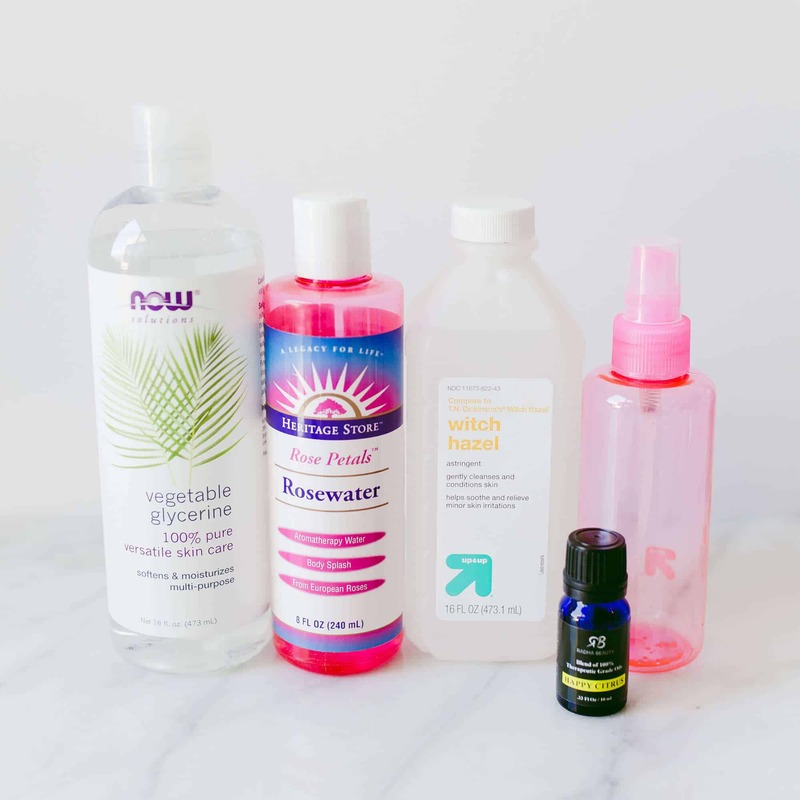 Just a thought… Citrus essential oils are photosensitive for 12 hours after use, so using them on your face as a makeup setting spray might not be the best idea 😉 I’m a Young Living rep, and know a few p’s and q’s about Essential Oils. Cool idea, I didn’t know you could make them yourself! Would love if someone replied to the questions in the comments… I’ll give it a shot thou, what is the water’s role, is it even necessary, and what is the shelf life? Thank you! 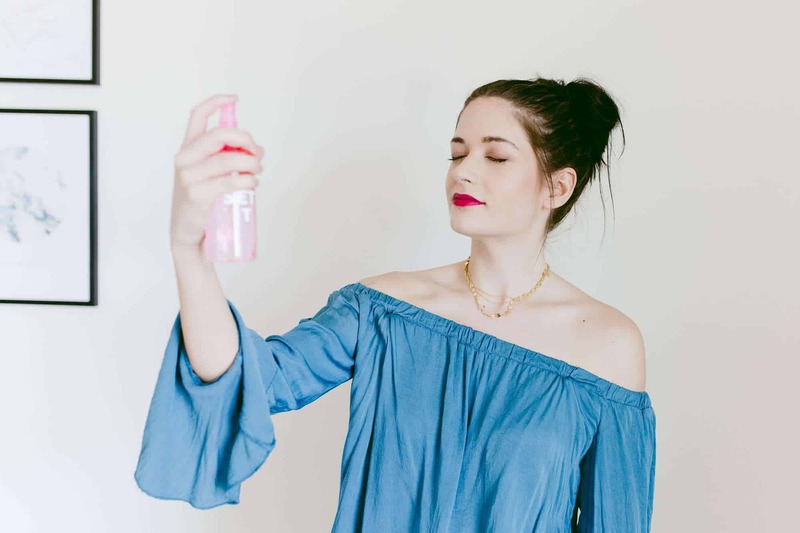 I just heard about setting sprays, I haven’t worn makeup in ~6 years! I am now a young widow and live/work in a hot environment. Setting sprays is my only non crunchy thing. I just mixed some of the ingredients leaving out the rose water. I am hignly sensitive to everything. I will report back later on how it goes. I have severe hot flashes and am so excited about it. By the way I used a glass bottle. I would never use plastic. I got it at the health food store. It was inexpensive. Wow I love this idea. Considering glycerine is an ingredient it would make your makeup last all day through anything ? Lovin this idea! the DIY itch has bitten me sure. Gonna try this out soon! ? I’m allergic to witch hazel. Do you think it would make a difference if I left it out? What does it do for you in the mix?